 Vocabulary: appearance and personality, adjectives prefixes, holiday and travel, phrasal verbs, compound nouns, sports, collocations with verbs, gerunds and infinitives, the environment, prefixes, communications, collocations with nouns, culture, verbs + prepositions, technology. 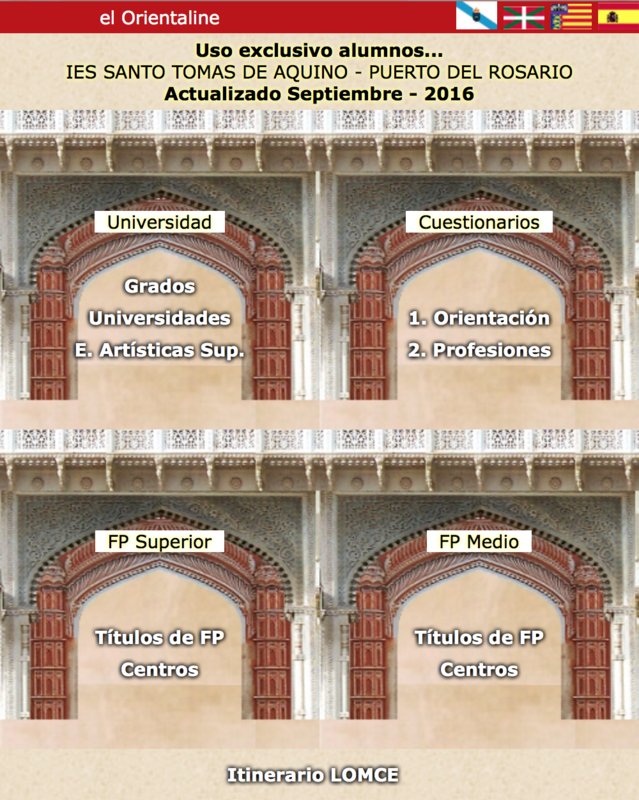 This entry was posted in DEPARTAMENTOS, Inglés and tagged 1º DE BACHILLERATO – INGLÉS, IES Santo Tomás de Aquino, PRUEBA EXTRAORDINARIA DE SEPTIEMBRE. Bookmark the permalink.